← First Dog on the Moon. From 33 degrees yesterday to 18 this morning. Extreme temperature’s yesterday to almost cold this morning. Misty damp air which is such a relief for the scorched garden. 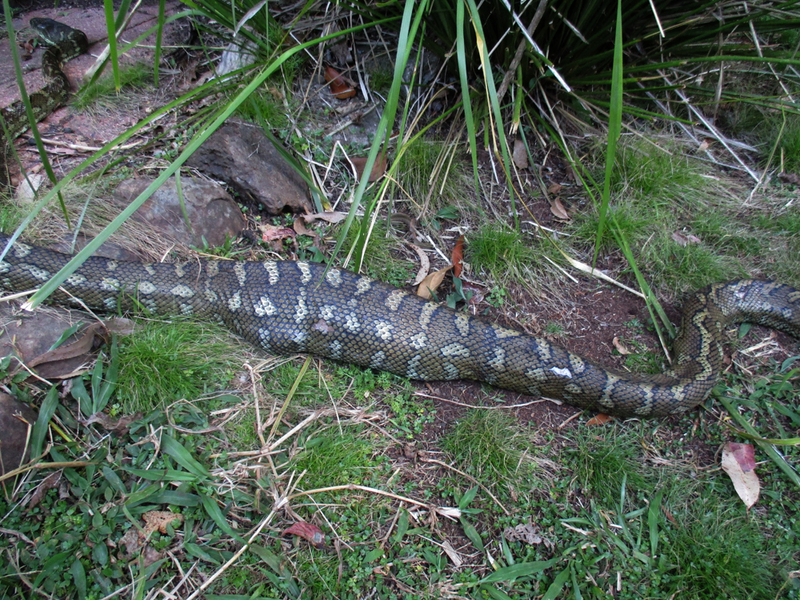 Returned yesterday to the wood stove in the garden, this carpet snake had eaten so the hens will be safe for a while. I noticed a chunk taken out of its body, like a bird peck. Got 3 hours in this morning ( lantana slashing so much easier when cooler ) and managed to get a sizable area followed up with vine cutting and lantana pulling. 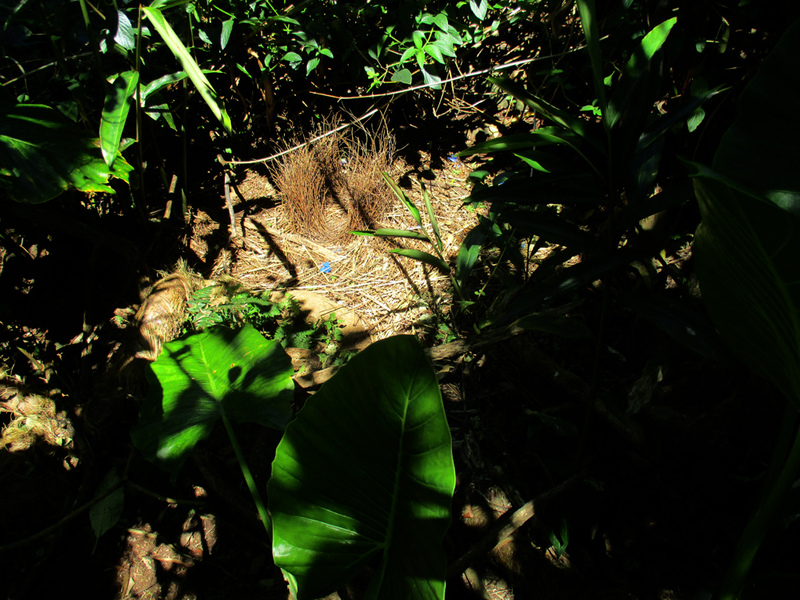 Stumbled across this bower which I gave a wide berth to.